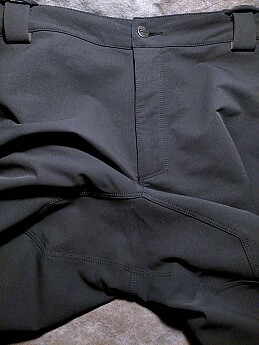 Functional, comfortable, active, 3-season sports pant! 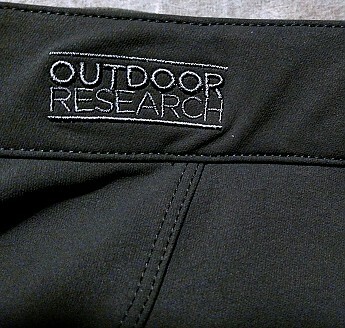 Price Paid: Outdoor Research from Amazon $150 list on special (i deserve it) sale $98! 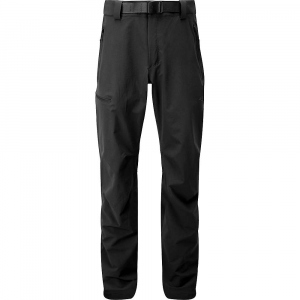 Functional, comfortable, active, 3-season sports pant! 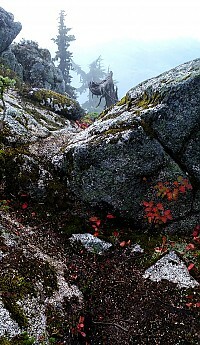 Excels even under difficult alpine climbing conditions here in our cool/moist PNW climate. 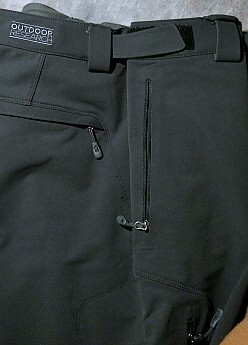 Some features hard to find in any pant, are in the design of Cirque. Can't find your size? Great news ... I had an alteration tailor altered my leg length and kept OR's amazing 'infinite' guarantee! Pronounced: "sir-ka"; Meaning: "A steep, amphitheatre-shaped hollow occurring at the upper end of a mountain valley, especially one forming the head of a glacier or stream. Cirques are formed by the erosive activity of glaciers and often contain a small lake." Sounds like my favorite kind of hiking area! 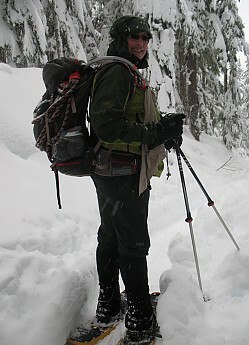 Used them again yesterday Snowshoeing at 25°F for a few hours, without underlayering. 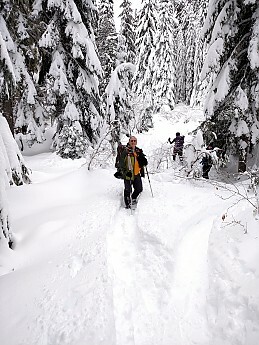 They were totally comfortable on the Lanham Lake Trail day hike, just east of Stevens Pass, WA. Comfortable for me again on the next trip, with no layering at, <15°F! Margo wore the same type of pants, with underlayer and was cold only when sitting down for lunch. Quality crafting starts with designer's intent. 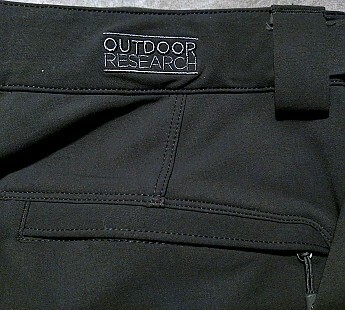 Outdoor Research's (OR) intent is to produce high quality, best in class, outdoor gear. And they have a very active testing program to help ensure this! What does it mean when a group says that their gear has an "Infinite" or "Lifetime" guarantee? I've learned that this is no label trick, with any catch. In the gear that I've acquired OR deliveries QUALITY. And I've learned first hand that OR stands by their guarantee! 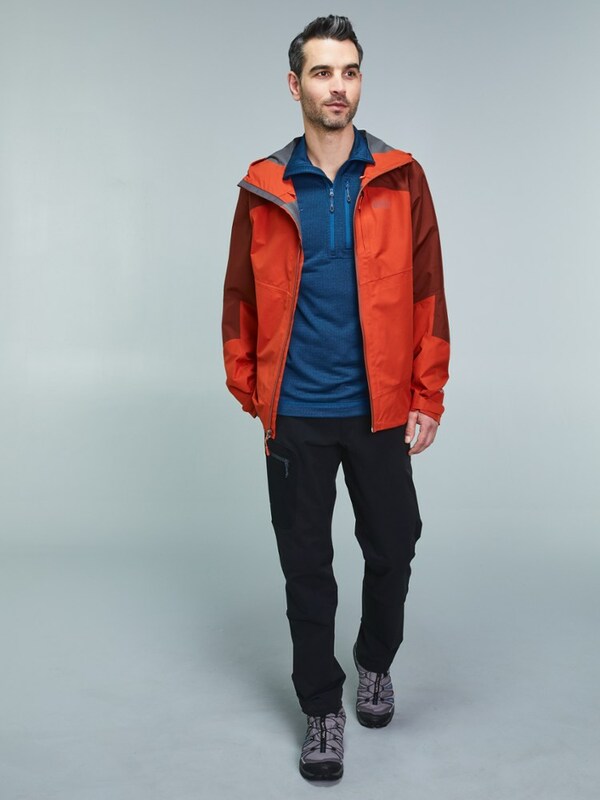 Based on functional qualities alone, I and many of the club members that I hike with find ourselves increasingly switching to OR gear as core 'go-to' favorites. With that guarantee, I can't afford to not try it. Models come and go. If your model is discontinued and not workable for your uses, they have replaced mine with a new item of similar design function or lower cost my choice. Or 50% of original value as an online coupon. 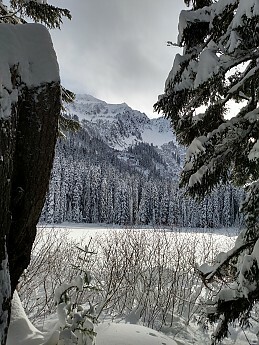 The Spiderman like agility of my Cirque's came in real handy on last Sunday's hike with all those fallen trees trunks to climb over along the rocky little trail to Heather Lake! I am not currently as trim wasted (long legged) as a standard climber I guess. 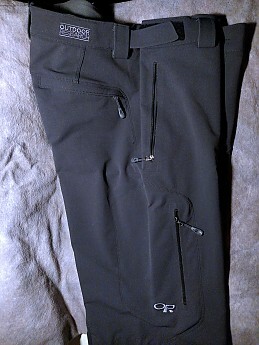 But I really wanted a cool/cold weather softshell pant, and was drooling over the Cirque specs online. 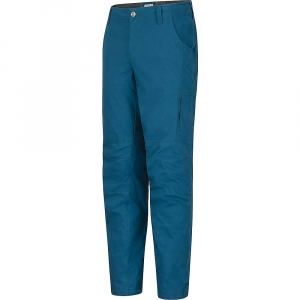 The only pants I could find of correct size would be a Haglofs imported from Europe from an external website. When OR's Cirque sale came available, I risked trying a pair because perhaps I might be able 'deal' with the extra 3" inseam length ... but I couldn't! So I took a bold move stopped into an alteration shop. 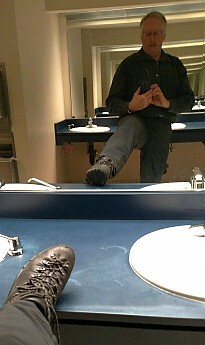 Inspecting the leg fit of the altered pants and pure vanity color fit with my favorite core Asolo Power Matic 200 boots. They did a fabulous job, still working in the articulated knees, by taking the extra length out near the knees, between the front waist and leg pockets. 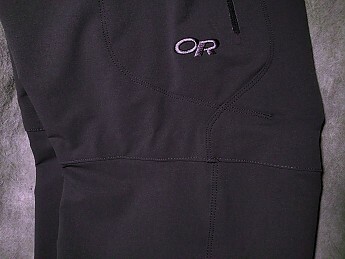 I was at the OR Seattle store exchanging a leaky Goretex glove and showed them the pants. I was totally shocked when they told me that it DID NOT VOID THE GUARANTEE! In fact, one of the other Representatives there wanted the location of the alteration shop to get theirs done too. Knee alteration area used by tailor to remove the extra inseam length. Cirque's inner surfaces have a comfortable felt waist band, mess lined pockets and outward directed moisture wicking from a soft brushed feel lined fabric. Stoller cloth! Famous for comfort in active winter weather sports. There's 4" of play, played 'in' here. Three belt loops are also supplied with suspender loops (2 front and 1 back) for Y-yoke tri-suspenders. 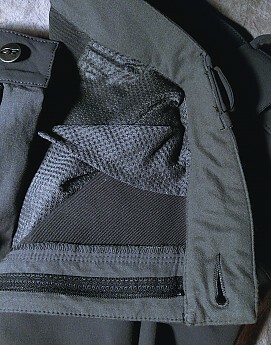 Rain shield flap cover is over the back zippered wallet pocket. 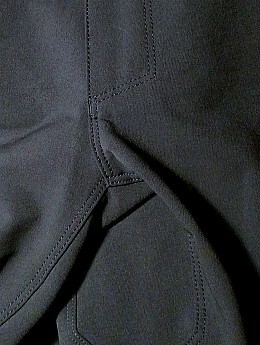 Sewing in gusset and other areas is well done. 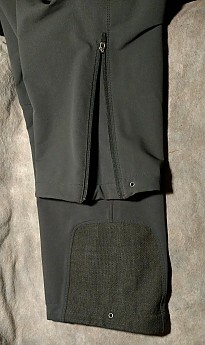 Fully gusseted pant cuffs allow easy access to socks and shoe laces. 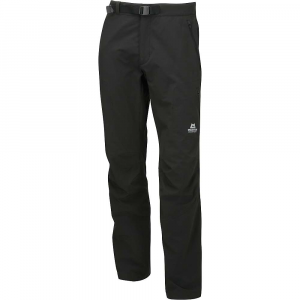 They also let you use the pants with bulky ski boots and can help you cool down when climbing, a hill or cliff. 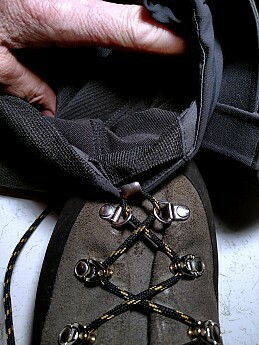 Lace hook in inner cuff engaged onto the lowest lace area of my Asolo Aconcaqua boots to make pant gaiters, also stops pants from pulling up to knees when rock climbing! (If this looks confusing note that I am not wearing the pants! So my leg and foot is missing in the photo. Pant is rolled forward for better view. Any idea what those two little eyelet holes are for on either the left and right sides of the cuffs? 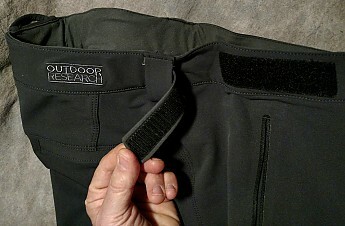 Hint: they interact with your boots, along with that strong little hook on the inner bottomside front of each cuff. 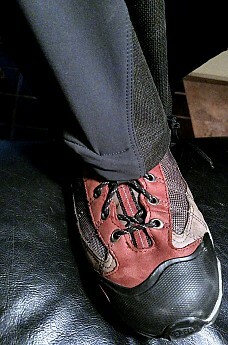 Cirque pant lace hook engaged on my Oboz Firebrand short hikers ... oh yes, I'm in these pants, and the camera shot was not easy to do by myself. 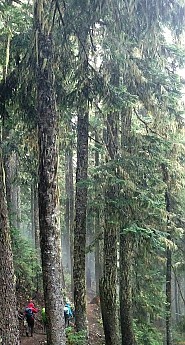 Rain finds all kinds of ways to effect your hike experience out here, typically making it beautiful! My Cirque pants help make the experience enjoyable too. 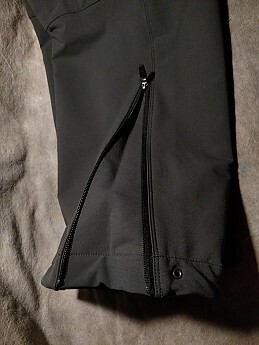 They worked well for me in COLD (e.g., 33 to 40 °F) heavy rain, being comfortable either alone as a standalone external shell without layering or as a breathable warmth layer under breathable rain pants. 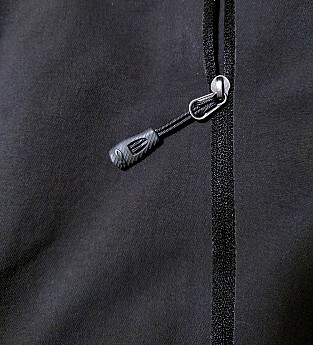 The zippers also direct moisture outward more than inward, so rain drips away rather than enters and soaks (yes, they did the research). The fabric out here must work right in our cool ever changing climate to support you, rather than put you at risk. The Stoller fabric in my Cirques is amazing at shedding mist and rain. It acts a lot like wool to retain heat and breathe while wet! The comfort range of this 'lofty' fabric reminds me of goose down or silk. Myst Stump Monster? 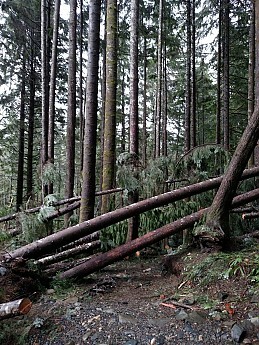 Sighted on Beckler Peak trail near summit! 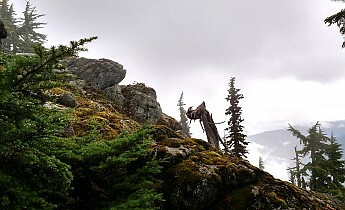 Do not underestimate the ability of rain to influence one's experience of a hike. Joyful to potentially deadly outcomes are within reach, depending on my clothing and the temperature range experienced. Cirque pants help move my experience towards safer and more joyful. Inspector 'SnowCat'. My daughter lent us 'Odin' for awhile to help out. 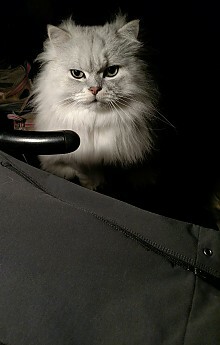 He's been so very helpful in inspecting my photographic setups, in untying boot laces, and placing white furry inspection tags on clothing, and other gear. He also claws holds things at times for me, to mess up make the photo harder easier to take (<<- If you like, free to pick your favorite word meanings from these possibilities). Thanks for the review, Gary. Those look like nice softshell pants. It's good to know your alternations didn't void the guarantee. Yes these have an amazing feel always comfortable even when wet, not hot not cold.. Like them much better than anything else at Flagship 'Seattle REI store. Hi there! 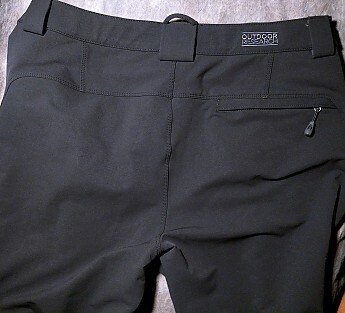 Can you please tell me where you had your Cirque pants altered in the Seattle area? I just received my new pair but they're way too long and I want to take them somewhere dependable to be altered. It looks like yours were done really well. Can you give me the name of the alterations place you took yours to? Thanks in advance!